There are many ways to find the free classes London has to offer. Education is not only something that sits with schools, colleges, and universities but with the diversity and the talent of London's population, there are so many ways to learn new skills or get involved in something new, whether you have the opportunity to invest in it or not. Jump on the leisurewear craze and join in free yoga and fitness classes at Lululemon and Sweaty Betty's London stores. Adidas studio on Brick Lane also run free women's classes and if you feel like giving back a little to the local community while working out, check out GoodGym. Various events around London are good at offering free classes once you have purchased a ticket to attend their event. Big trade shows and festivals are good for this. Make More festival in August is offering a full timetable of free workshops once you've bought tickets for the festival itself. See the full timetable for Make More on their website. Check out Citadel festival, the Country Living Fair and The Ideal Home Show Christmas as well for other events that are hosting free classes. The Tate Modern is offering free classes to London's population. Check out their full timetable here, but it changes from week to week, usually complimenting the current exhibitions at the museums. Form hands-on workshops to lectures, the timetable of events that the Tate Modern has put on is a brilliant way to make the most of the free classes London has on offer. The free classes London has to offer aren't necessarily a teacher-student relationship. For this free class, you only need yourself and access to the internet. 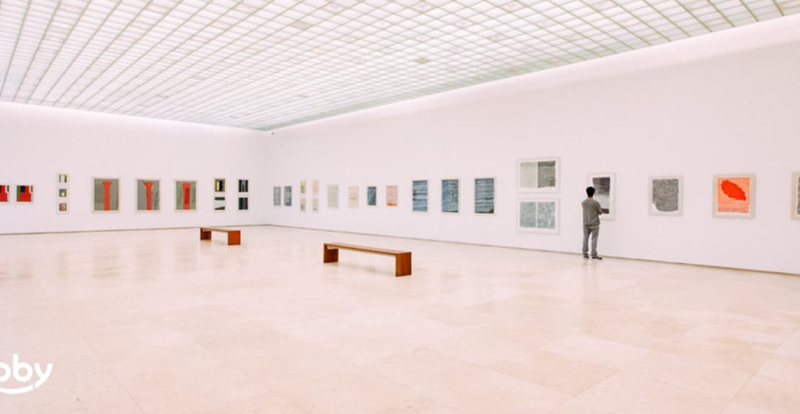 If you'd like to learn a little more about the art and culture we have on offer in London you need nothing more than one of the free galleries and your mobile phone. For example, for a lesson on the portraits of Queen Elizabeth I head to the National Portrait Gallery and use this guide on your phone to tell you all about them. Every Saturday from 10 am to 12 pm kids are invited to join a fun, creative range of activities designed to inspire and ignite children's imaginations. Children must be accompanied by an adult and capacity is limited. These classes are held at Cass Art supplies stores in both Hampstead and Islington. They are open to all little ones above the age of four and are booked on just a first come first served basis.